Britain’s Prince Harry and American actor Meghan Markle are engaged and will marry in spring 2018, Kensington Palace announced on Monday. The pair became engaged earlier this month and will live at Nottingham Cottage at Kensington Palace, where Harry currently lives. Kensington Palace also released a statement on behalf of Markle’s parents, Thomas Markle and Doria Ragland. “We are incredibly happy for Meghan and Harry. Our daughter has always been a kind and loving person. To see her union with Harry, who shares the same qualities, is a source of great joy for us as parents. “We wish them a lifetime of happiness and are very excited for their future together,” the statement ended. Harry’s brother, William and his wife, Catherine, who also reside at Kensington Palace, shared their joy at the impending union on Monday. “We are very excited for Harry and Meghan. It has been wonderful getting to know Meghan and to see how happy she and Harry are together,” they said in a statement. 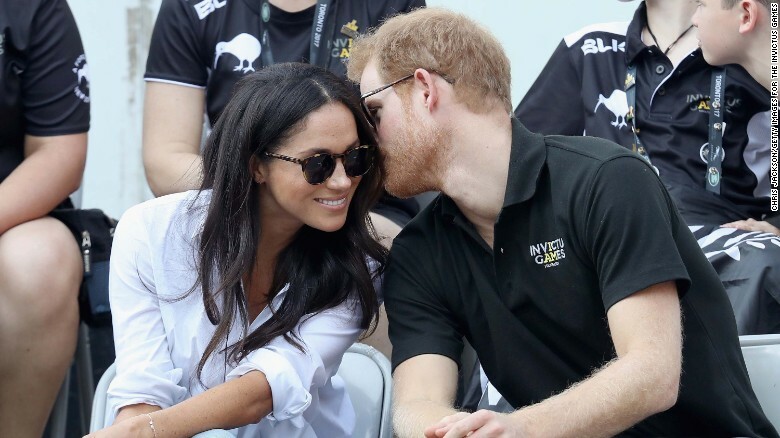 Monday’s announcement ends persistent speculation over when the 33-year-old prince — who is now fifth in line to the British throne — would propose to the actor. The pair were introduced in July 2016 by mutual friends in London, Markle confirmed in September. Markle is best known for her role on TV show “Suits” as well as her philanthropic work. Separately, Prince Harry confirmed the couple were an item last November in a Kensington Palace statement criticizing the “wave of abuse and harassment” his then-girlfriend had faced from media outlets. The palace rarely puts out such statements, only doing so in recent years to keep the paparazzi from getting too close to Prince George and Princess Charlotte, the children of Harry’s brother, Prince William. The brothers have been much more open about their personal lives than other members of the royal family. In recent months, they spoke publicly about their mother, Princess Diana, on the 20th anniversary of her death. Monday’s announcement sets the stage for the most anticipated royal wedding since William married Catherine Middleton in 2011 in a lavish ceremony at Westminster Abbey. William and Catherine recently announced they are set to have a third child, revealing the latest addition to the British royal family is due in April next year.